“He said, ‘Take your son, your only son Isaac, whom you love, and go to the land of Moriah, and offer him there as a burnt offering on one of the mountains of which I shall tell you’” (Gen. 22:2). Moses relieves the suspense surrounding Isaac’s ultimate fate when he tells us in Genesis 22:1 that God’s command to sacrifice the young man is a test for Abraham. The focus is really on the character of the patriarch’s faith, and the challenge to obey the Lord provides the tension for the rest of the chapter. Consider what it means for God to test His people. We would be straying from God’s Word if we said He is ignorant of our response to His testing beforehand, for He knows what the outcome will be in advance (Isa. 46:8–11). Instead, Scripture teaches that the Lord puts us through trials so that we might see the stuff of which we are made. Divine testing can create, renew, or strengthen our humility (Deut. 8:16). God disciplines us through trials that we might yield “the peaceful fruit of righteousness” (Heb. 12:5–11). When we pass heaven-sent tests we realize the strength of our faith and find a greater assurance of our salvation and the Lord’s faithfulness. If Abraham hated to cast Ishmael out (21:10–11), the command to sacrifice Isaac was undoubtedly more difficult for him. 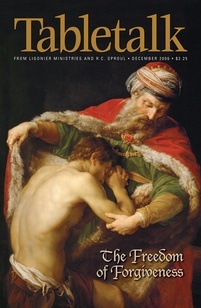 However, the patriarch obeys (22:2–6), so strong is his trust in the Lord. Faith comes quickly when the Lord calls us to do easy things. But it is much harder to trust Him when He asks us to do difficult tasks. God will not call us to offer up our children as burnt offerings, but He will ask us to step outside of our comfort zones. If you are a shy person, reach out and make a new friend this month. No matter your temperament, try to do ministry in a place that may make you uncomfortable, such as a prison, hospital, or food pantry.